Day One of Star Wars Celebration Anaheim is done and boy oh boy what a day it was! Between a new trailer and appearances by the cast and crew of The Force Awakens, there was just so much going on about the future of Star Wars. But the big kick off panel wasn't the only The Force Awakens related experience fans could partake in. 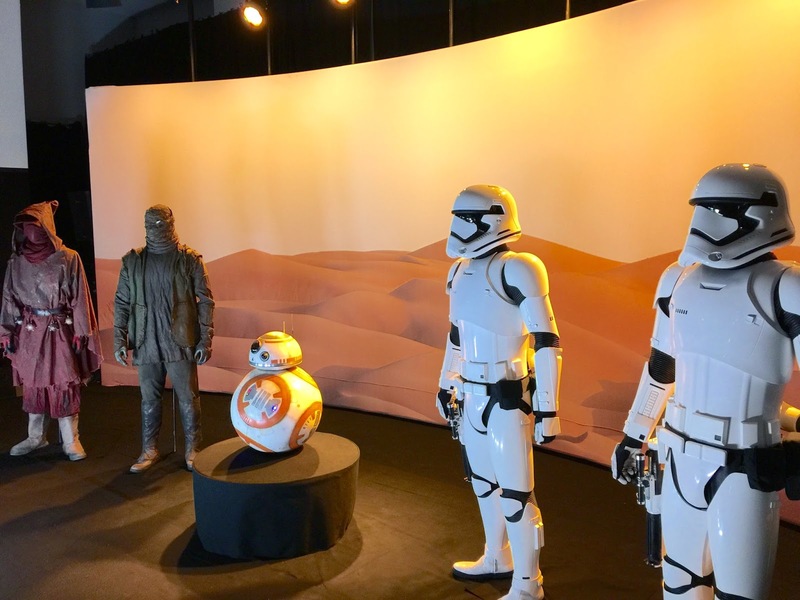 Lucasfilm also had several props, costumes, and models from the upcoming JJ Abrams film that fans could get an up close look at. We had a look around the exhibit and here is what we saw! Also one other tidbit of information that was included in the exhibit, the Stormtroopers were listed as fighting for "The First Order" and the X-Wing was described as being a "Resistance" fighter. Interesting that the terms "Empire" and "Rebels" are nowhere to be found. It will be interested to see how the new factions relate to the old one. Make sure to follow @TheSWU on Instagram for more updates from Star Wars Celebration Anaheim! Where are these located at the Star Wars Celebration venue? Couldn't find them. Realy want to see them in person. Thanks for sharing these photos. I love the designs of the new trooper armor. OMG!!! The new designs are simply AWESOME!!! I just can't wait till december! I've already have goosebumps!!! Keep it up JJ!!! I hope someone was smart enough to measure Kylo Rens outfit? Is it Driver height or more Gleeson height? seems easy enough. Tell me somebody did this?